Benny Smith describes the importance of these wampum, "These wampums have served the Keetoowahs in the same way that the Ten Commandments have served the Christians. For generations, these wampums have been read to the Keetoowah once each year...The Cherokee name for the wampums is De'-ka-nuh-nus' which means `a way to look to' or `keep looking in this direction.' "
Interestingly, the first open expression of the Keetoowah rebellion against assimilation occurred in 1828 when the Cherokee sought to establish a Cherokee Constitution and end the old political system. "White Path's rebellion" was named after its leader White Path, but his nativistic movement is seen as a predecessor of the Keetoowah movement. "Chief of the Nighthawk Keetowah"
and from differing opinions and experiences. Redbird Smith believed the greatest danger to the survival of the Cherokee as a culture was 'acculturation'. He feared the people would be absorbed into the ways of the white people around them and forget their own ways. Many of the ceremonials were already forgotten during Redbird’s childhood. He was born July 19, 1850; his father was Pig Smith, a fullblood Cherokee of a very conservative family which always had a sense of mission regarding the preservation of the ancient Cherokee religion. Pig also served in the Cherokee government as a Senator. The name 'Smith' was acquired because he was a blacksmith by trade. About the same time as the Treaty was signed, there was an important meeting of the Keetowahs in the Saline District near present-day Salina, Oklahoma. John Smith, one of Redbird's sons, relayed this story as it had been told to him. ". . . All the people camped up there. All the old men were seers. They kept themselves clean with medicine. They could see a long ways ahead. The medicine men investigated the future of the Keetowahs. They saw that Pig Smith’s seed would be the leader of the Keetowahs in the time of their greatest trouble. Pig Smith saw that his life was short and his son was just a boy. He looked for a man to teach his son the ways of the Keetowah and to guide him spiritually. He decided on Creek Sam, a Notchee Indian. He told him he could leave his son in his care and teaching and that he would be his advisor even to the time of his (Pig Smith's) grandchildren." Redbird married Lucie Fields, who originated from present-day Braggs, Oklahoma. Lucie's father was Richard Fields who died in Washington, D.C. while serving the Cherokee Nation as Attorney General. The family is of Cherokee / Natchez ancestry. They had ten children named John, Sam, Richard, Thomas, George, Mose, Kiah, Stoke, Ella and Susie. Redbird was a "Little Captain" of the Keetowah Society prior to 1889, but after these changes were made and factionalism became more evident, he became more active. Within several years time, he was made ‘Head Captain’ for the Illinois District. The following year, he was elected a member of the Cherokee National Council. He came to develop his spiritual beliefs, which followed the White philosophy. This later became known as the "White Path." During the years that many political changes were happening in the Cherokee Nation, the Keetowahs were still meeting and observing the old ways. 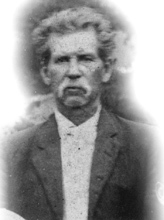 Redbird’s sympathetic nature and extensive knowledge of the old ways made him a very influential man among the fullbloods and traditional Cherokees. At Sulphur Springs, in the Illinois District, the Four Mothers Society was formed. Much like the Keetowahs, the society was based on the ancient Southeastern religion. Largely made up of Natchez people, the group also consisted of members of the Cherokee and Muscogee (Creek) nations. These people banded together to fight assimilation into the non-Indian world as well as the breaking up of tribal lands. They turned to the Sacred Fire. Redbird Smith was one of the Keetowah Cherokee who became involved with the Four Mothers. Redbird continued to develop his philosophy and coupled with the Natchez-Creek traditions with the Keetowah. He was active in the Four Mothers for some time, and agreed with their politics but later broke with them because of a disagreement over procedures. The Four Mothers are still active as a religious organization, with their main ceremonial grounds in the Muscogee (Creek) Nation. By this time, Stomp Dancing had basically ceased. The ceremonies of the ancient religion, such as the Green Corn Ceremony, the Friends Made Ceremony, and all the New Moon ceremonies had become extinct. By the middle of the 1890's, a Stomp Dance was held in the Illinois District with a group of Cherokee, Muscogee (Creek) and Natchez traditionalists. Redbird had often attended ceremonies at the Notchee Town fire on Greenleaf Mountain, near Sulphur Springs. The knowledgeable elders today maintain that the original fire used by Redbird had come from the East during Removal and never died. It was tended by the people of Notchee Town. Between 1891 and 1901, factionalism once again surfaced amongst the Keetowah Society. The Curtis Act, and the impending allotment of Cherokee land by the Dawes Commission were feverishly spoke against by traditionalists and Keetowahs. These government acts threatened to cease tribal governments for both the Cherokee and Muscogee (Creek). The Keetowahs held another meeting, this one at Moody's Spring, near present-day Tahlequah. They decided that allotment was the only option they had. Redbird would not give in, so he and his followers withdrew from the Keetowah Society and formed the Nighthawk Keetowah. The Nighthawk Keetowah were determined to not only hold onto what culture and religion remained, but now what land and government, as well. In 1905, the split was even more defined, as the Keetowah Society officially incorporated without the Nighthawks. By 1902, some 5,000 Cherokee had succeeded in resisting enrollment with the U.S. government, and the Indian agents began making arrests of the leaders. Redbird Smith was arrested and taken to Federal jail in Muskogee, Oklahoma. Although he finally enrolled, many others did not. The Dawes Commission took the names of those Cherokee who appeared on the Census of 1896 and enroll them without their knowledge or permission. On Redbird's birthday, July 19, people would come from miles to Redbird's home and bring food and pay their respects. The celebration eventually became so large that it was moved to the ceremonial grounds near his home. This tradition continues today. After Redbird's death, his sons has serious disagreements amongst themselves, and some formed small factions and stompgrounds of their own. What a shame. The Keetoowah Society still has a mission of utmost importance to fulfill... IF they can stop their factional infighting. All of this was all prophecied long ago.